This episode is best consumed with a good cup of piping hot tea. Why? Because it is one of the many things that blogger and vintage lover Emileigh Rogers enjoys in life. 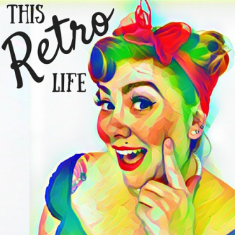 And in this chat we cover all her life loves from thrift shopping to life abroad and the many complexities of living a vintage life in a modern time. Paris Brown’s great grandparents lived through a lot; war, depression, innovation and modernisation. They saw tv and the internet develop, presidents assassinated, nations recover from war and man walk on the moon, how can you not be inspired by that! It’s not surprising Paris now lives a modern vintage life.